It's soccer season for the Blossom Hill Blitzers. Shawn Hunter is dying to make the team. But some of the kids call him "Fiddlesticks" because he brings his violin to after-school practice. And because his legs are skinny as sticks. Secretly, Shawn works out at home--but time is running out. Can his cul-de-sac friends help him make the team? Or will the teasing at school mess Shawn up during tryouts? Fiddlesticks by Beverly Lewis was published by Bethany House in March 1997 and is our 32019th best seller. 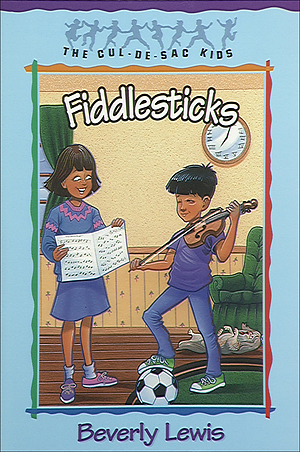 The ISBN for Fiddlesticks is 9781556619113. Be the first to review Fiddlesticks! Got a question? No problem! Just click here to ask us about Fiddlesticks.